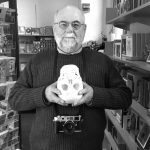 Readers of this blog and those who interact with me on social media often comment about what they see as a varied choice of cameras in my collection. The most common comments I get are around the idea that it seems odd that I would get so much enjoyment out of a bog-basic point & shoot when I also have access to and favour a camera like the Leica M3. I usually reply with little more depth than by commenting about how I enjoy different types of cameras. Though, whenever I say this, it only really feels like half of the story. The other half of the story comes down where I find a specific commonality between the different types of camera that I favour. Without an explanation, it’s possibly surprising to read that I find more in common between a Leica M3 and an Olympus mju-ii than I do the same M3 and a Konica Hexar. This is despite the obvious fact that the Konica Hexar has a much more similar form factor to that of the M3. Where I find commonality in a rangefinder like a Leica M3 and a basic point & shoot like the mju-ii in is in their simplicity of function, and not in specific functions the cameras have. To my mind, simplicity of function is not the same as function itself. 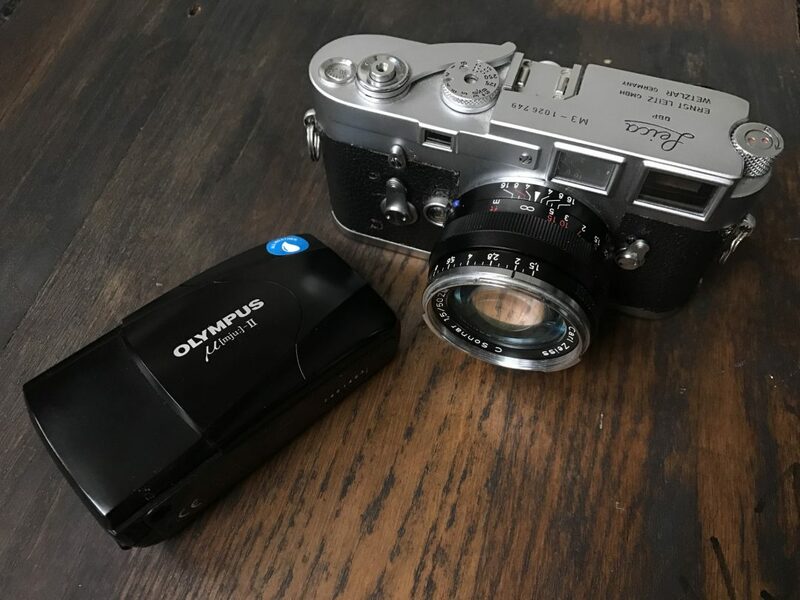 In terms of function, the Olympus mju-ii and M3 are like chalk and cheese. The mju-ii is fully automatic with little in the way of manual override, the M3 is completely manual and doesn’t even have a light meter. They’re very different cameras in terms of function, but where they might not have similar functions, they do have a similar level of clarity of function. In other words, I find neither camera to be cumbersome in terms of what options it provides to me as the photographer. If this clarity of function is the metric by which we measure cameras, when the Leica M3 and Olympus mju-ii are compared to something like the Konica Hexar, it’s obvious that it’s going to be Konica that stands as the odd one out. The Konica Hexar – whilst clearly a very good camera – is by comparison obscenely complex. You can just switch it on and shoot it in its very good program mode. But the fact that it’s possible to program this program mode to taste, says a lot about what other possibilities it offers. For a start, it can also be shot it in shutter priority, aperture priority and full manual. It’s arguably a native autofocus camera, but it can be manually focused via a menu driven focus distance selector. There are different menus hidden in different modes, and you can even set it so it’s focus and film advance are slightly slower and therefore ever so slightly quieter. One way or another, it’s fair to say it has an abundance of features. By comparison, the mju-ii only has a couple of modes and is far from as complicated as the Konica. The most thinking I have to apply to using the Olympus is to whether or not I want the flash on auto, or if I want to have it fixed off. If I want it off – which involves about the most amount of thought I apply to using that camera – I only have open the front hatch to switch the camera on, and then press a little button on the back twice. This is not only simple to do, but it’s also a simple decision to make. 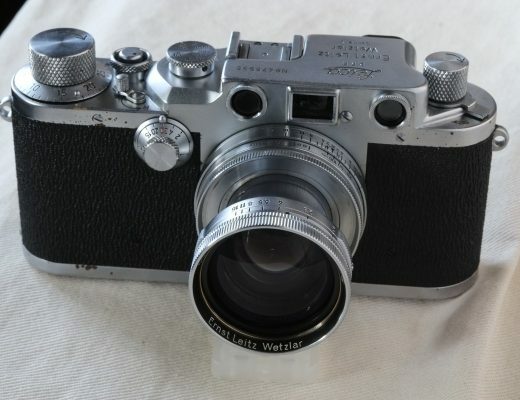 Then there’s the Leica M3, which is about as basic as it gets. I know exactly what I’m getting with that camera; I just have to set shutter and aperture to appropriate settings for the subject, the light and film contained within, and I get a predictable result. I could make use of things like a frame-line preview, or even a self-timer, but these aren’t functions that make me wonder whether I need or should be using them. I either need them, or I don’t. Mostly don’t. With the Hexar, for some reason, I find it harder to ignore all the potential settings I could be using. I quite often shoot it with a mind toward whether or not I’m shooting it in the best mode, and in the end almost always default to the program mode. This is perhaps somewhat down to the fact that I haven’t spent enough time mastering it yet, but the mere fact that I feel like that about not having mastered it, speaks volumes to me. The Hexar provides options; options upon options – this is great if you want a single camera that can offer you a huge variety of methods of shooting, but for my tastes, I increasingly find this sort of approach to functionality slightly (read very) overbearing. In very simple terms I’m fast coming to a conclusion that I like a camera to be as simple as possible to use. But moreover, I just don’t think I like to have choices when I am out shooting. With a camera that provides all sorts of varied options as to how to achieve the exact same outcome I find myself at best distracted, and at worst completely overwhelmed – this is not how I like to feel when I am out taking photos. Leica M3 and Olympus mju-ii are pretty good examples of cameras that don’t really offer choice and therefore don’t make me feel this way. The way it’s possible to achieve an image with either of these cameras is by a single prescribed level of function. It’s this prescription of a single type of functionality that I find enjoyable to use in a camera, it’s also what I am increasingly finding to be the lure of the uncomplicated camera. You know how I feel. M3 + 50mm + Portra 400. Overexposed like it’s going out of fashion. A very relaxing way to spend a few hours. Similarly the GR1s set to snap focus has the same effect. Hamish, thanks for putting into words a way to score my own winding path through different cameras. I use a lot of different cameras (>20 film cameras last year), and it is not just curiosity arising from a new camera find in a thrift store, but the search for (cheap) cameras that work well for me. It is very useful to think of simplicity of use as a primary way of grading cameras that I like because I think that is what underlies my own preferences, and what dissatisfied me about the deep menu trees on DSLRs. The mjuii is pretty much at the top of my list since it also fits nicely in a pocket (nearly any pocket), and has some options if you need them like spot metering, but which otherwise don’t get in the way. I would put the Olympus XA2 a very close second on the list. I have been shooting some late generation EOS mount Canons and while the results are highly satisfactory, they are not simple to use. For some reason I get more satisfaction from a good picture taken with a camera like the original Olympus Pen (perhaps an equivalent to the M3 in terms of the kinds of decisions that must be made). 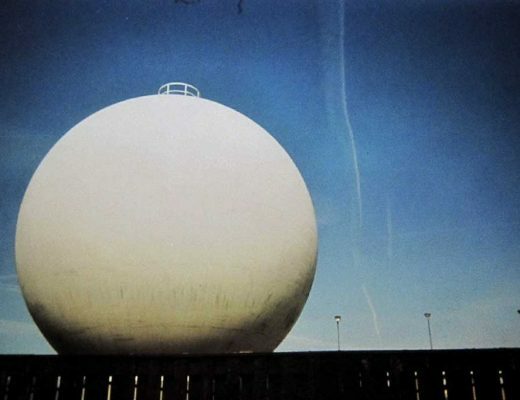 And strangely, I seem more likely to get that good picture with a simple camera – perhaps because there is more mental space to devote to composition and more inclination to patience. Right now I have film in a Minolta AL-F, a shutter priority camera that displays the automatically chosen aperture value. It fits well into the simplicity category – choose the shutter speed (and thus aperture), and then shoot. I am enjoying using it, and that is what matters! I love my mju ll, XA ll and Olympus RC 35 …hell and X100T. ??? The Fujis do a good job of at least pretending to be simple. If nothing else, they are fairly intuitive. When using a bellow kodak six-20 you know what you have to do: open it, turn the tiny viewfinder, frame the scene, manual adjust distance, select the speed and aperture and press the shutter button. It’s not really operative, but at least you know what to do. Many cameras are annoying. You don’t know what you have to do to get a picture. I have recently taken the plunge and replaced my M2 and M6 with an M-P type 240 at vast expense, now almost all of my pictures are just as badly composed as they were with the previous cameras, but somehow not quite soulless but in my mind disappointing… Where is the Leica glow? … I have just ordered an Ondu 6X9, and the onus will be on ME to make nice compositions and exposures… Focus of course will not be an issue, but everything else has to be calculated… Slowlee slowlee catchee monkey. As for the M-P? Been there and I have found myself looking forward to the nextest and bestest yet from them and wondering whether I should take up dentistry, or whether to pinch myself and wake up… It is not the camera, it what one does with it. Quite. And if one can forget the camera, or at least stop worrying about it, then I’d guess doing something with it is going to be a good bit easier … if you follow? Sorry you didn’t get anywhere in the cheap camera challenge – keep an eye out, I will be doing similar at some stage! it would be interesting to see a list of your top 10 uncomplicated cameras…. for me, the option of aperture priority is a big deal and essential in an uncomplicated camera. that’s why I love the Leica M7, Nikon FM3a, Pentax ME Super, Xa2 …and most autofocus p&s cams…But does aperture priority make it “complicated”? It depends on the camera I think. The m7 always struck me as having a very intuitive, unobtrusive level of automation. I think it’s why I appreciate my M9… it wouldn’t be on my list though. 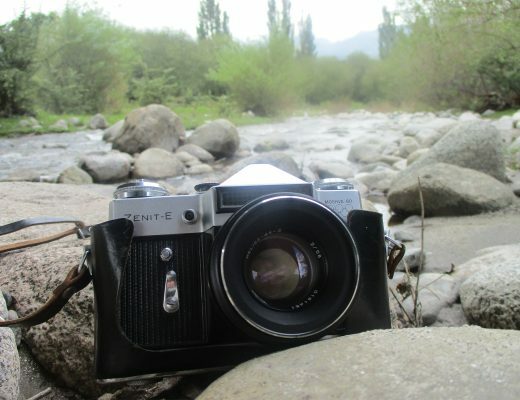 I greatly enjoy my Yashica FR1 for its simplicity, build quality and ease of use. Not the lightest machine though. Very cheap to get.Plus you get access to the very fine CZ c/y mount glass. Being mega pedantic, the Konica Hexar (AF) isn’t actually called the ‘AF’ it’s just a Hexar. The Hexar RF on the other hand is called just that. Good tip, didn’t know that! The two Hexars were so poorly named that folks commonly refer to them as the Hexar AF and Hexar RF even though that’s not really correct. Konica wasn’t alone in that, though. Try Googling for “Zeiss Ikon” and see what you get. The rangefinder Zeiss Ikon seems to be called the “ZM,” but it doesn’t say that anywhere on the camera, or on the box. The Hexar names, I think, were just a part of the general marketing bungle that torpedoed both cameras. All cameras do basically the same. Focusing, choosing a speed and aperture and shooting. These days a common word is “interface”. What you need to have in mind to take a photograph? The less you need the better? Well, it depends. I think what makes it better is using your own brain for that task. To mean not the one some other placed in that interface. Some times needing to think nothing is even worst than going throug a bunch of menus. Great article! After trying and writing about all sorts of classic film cameras over the past seven years, the ones I am most fond of and use often are the simple ones: Leica M2, Asahi Pentax Spotmatic, Nikon F2, Canon P.
Makes for a most relaxing read! What’s the best way to keep up to date with posts? Thank you Hamish. I should probably set up some sort of e-mail notification thing I suppose. Per your suggestion…I put an email sign-up form on the blog. Not sure if it works correctly, but it’s there. Thanks for advice. Thought inspiring article Hamish. Having started on film not knowing what I was doing, then straying to digital and learning a bit more about actually shooting, and now straddling the fence between the two I do sometimes get frustrated with being on the cusp of knowing a bit but not enoughto be completely technically savvy when it comes to creating a shot. Looking back through my portfolio of work I still prefer a lot of the early film shots where I basically only concentrated on getting the correct exposure and having fun. I’ll be taking my mju1 and nikon L35AF out this weekend, clear the head a bit and remember why I shoot. Cheers! Would love to see a ‘UC top five” -what would be in yours? maybe put a poll out and see what comes back? For me, an uncomplicated camera should have aperture priority so that i can focus on… well…focus, and not worry about anything else in the heat of the moment. Your choices of cameras are a true example of this. I co-run a design agency myself. If I had a pound for the amount of times wove said “keep it simple, stupid” or quoted Dieter Rams, I’d be a rich guy! Excellent article. I have to agree that sometimes some of the most feature-laden cameras are the least pleasurable to use, and that having a feature or two at most is about the threshold before a camera gets a bit overbearing as you say. Similarly, I’ve found the most pleasure in cameras that lack meters and those with a degree of simple automation. Having just picked up an N90 (like the F90 you are interested in), I can say that is not the simplest of cameras, yet still it doesn’t feel overly complicated, the one notable exception being the addition of the Vari-Program settings. I see things a little differently. I remember the feeling when I first got my M3 about ten years ago. It was a feeling that this was the most challenging camera I’d ever had my hands on – I’d had a Nikon FE and a Yashicamat 124g TLR before, as well as a Nikon F80 and D70 more recently. The M3 does nothing for you – you have to do absolutely everything: it’s the most complex camera as it that forces you to really have to think (in my case for really the first time ever, properly) about exposure. You set the controls. The camera won’t tell you anything about whether it’s right or wrong. It’s entirely down to you. That is not an uncomplicated camera by any means. 10 years since purchasing that M3 I still have it and use it and have bought and sold many entirely manual cameras but still come back to the M3 time and again, but I still challenge your definition of it as being uncomplicated as it makes me think every shot I take with it. I’d accept that, but I’d argue there is a broad difference between uncomplicated cameras and photographic method. I never said it was easy to know what aperture, shutter speed, film etc are right when using the M3, my point is merely that – provided you do know what is right – the process of translating that through an m3 is easy by merit of its uncomplicated function. I love photography and yes I do feel you need to master a camera to get great shots from it , but sometimes I think if you can see a shot then why should it be hard to get right ? Sometimes point and shoot creates cracking shots in less time then it takes working out exposures , apertures and such like . I got into photography for fun and making memories, sometimes simple makes you realise why you got into it . Grab my M2. Snap the 50mm Summicron onto the body. Load w/HP-5. 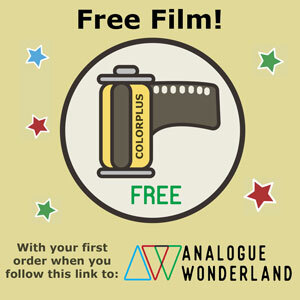 Drop into one pocket 2 spare rolls of film. Another pocket gets the Luna-Pro. Step into the abyss. Your senses become tuned into your surroundings. 36 exposures. Like a WW2 fighter pilot w/a finite amount of ammunition. Try and make each exposure count. Three controls to set: shutter speed, f/stop & focus. Liberating, almost lyrical. I’ve been shooting film for 45+ years, and when I work like this, it’s just like the summer I had my first 35mm [Pentax H1a] camera: everything was fresh, and you thought about taking pictures [and meeting girls] , not how it could be better if you had THAT OTHER LENS or a better camera. Thought to Eye to Camera to Print. It’s taken me all those years to come full circle. Thanks for the article, Hamish! Thank’s Dan. You’re right, if you not thinking about the camera, you’re not thinking about what the camera could be. I actually have this with the Leica M9 at the moment – not a film camera of course, but it makes me feel similar. I am trying to write a review, but I can’t think of anything to say at the moment. I just take photos with it. That’s the thing, get the camera that makes you feel free to see (to fly). If that doesn’t work, just forget it and get another one. It’s not that the Leica is a simple camera with the most basic features, it’s rather all other cameras that are often overly complex. One might venture into that too but if all you need is aperture, shutter speed and focus to make an exposure then why would I add anything else (which I’m not in control of anyway) and expect it all to work flawlessly? Unless you have no expectation for let’s say autofocus to be instant and precise then the one without that feature is something you can predict which leaves ones mind at ease. When photographing – a lot of things has to be just right and eliminating any uncertainties in the equation calms me. Not a thought given after the exposure is made, the moment was there and then – I move on. I don’t use point & shoots that much anymore. I’ve kept the Yashica T5 for flash photography though. I don’t know what I’m all on about but I’m all about the meditation through photography. I could just have been collecting coins. But that doesn’t give me pretty pictures. I thought it must be, but that is quite definitive! I certainly enjoyed my time with the LC-Wide! Very few digital cameras are attractive for me now. If any. I can’t do better photographs than with the own I own. More resolution maybe. So what. Good article also relevant to so many consumer product areas outside photography where dreadful “featuritis” killed all common sense. The tons of barely-used electronic gadgets of yesteryear now given away in thrift shops or forgotten in homes all over the world attest to this marketing foolishness and waste. As an amateur photographer with some 30+ years of street photography experience, I have always been less concerned with the make, type or features of a camera but I always sought a unique personal connection with the tool. The camera my father used throughout my childhood, a well-worn Russian FED 2 rangefinder (and poor Leica copy for those not in the know) is the one I prefer using most of the time now. No meter, no batteries, no beeps, no lights. There’s way too much chatter about the tools in this trade, and nowhere near enough feeling and poetry. For those of us doing commercial work, equipment features and absolute quality are essential but for most people snapping away at life every day for personal pleasure (or even Art), the less distractions, the better. Adrian, you are right about the simplicity of the basic tool. The problem: the user needs to think. He has to make some conscious decisions about focus, f-stop, shutter speed, etc. Many modern “photographers” seem to be unable to make these decisions. The super automatic gadget-filled camera can be set in P mode and its user can happily snap away hundreds of times, and thereby proclaim himself to be a photographer. Sigh…. Just read this through again Hamish and it’s a great article. Shooting slowly, intentionally and fully manual is such a relaxing way to make pictures. It’s what I love about my Voigtlander and is strong argument in favour of whipping the batteries out of my Vivitar SLR. The latter meters at least 2 stops over and so there’s bit of thought which has to go into each picture. OK not much really I suppose – get the exposure right and then take it down by two stops. But if it weren’t for those little red and green LEDs in the viewfinder, I wouldn’t even have to think that way. The sunny 16 rule and some over-exposure latitude are probably all that I need! And that’s just one less thing to bother about when out shooting which has to be a good thing. Why is it always men? Yakking on about The Gear. Photography is like snooker: think about it too much and you’ll miss the shot. And let’s face it, with regards to the gear? It’s a black box with a hole in it. Get on with it, gentlemen. Get on with what? Taking photos? As a professional and obsessive hobbyist I have taken something in the region of 30,000 photos this year already. What I share on this blog is my interest in cameras, more often than not backed up by photos I have with them. I consider my interest in cameras to be separate as well as being part of my hobby as a photographer. I take pleasure out of expressing my interest in and with both. Cameras are fascinating things, especially – to me at least – when looking at the user experience they provide through their very varied designs. You do appreciate that you have just commented on a blog whose tag line is “reviews, thoughts & experiences with 35mm compact cameras, rangefinders & lenses”? If the implication of what you say is that I am wasting my time talking about cameras – might I suggest that given your apparent lack of interest in them, it’s actually you who is wasting his time reading about them…? “… It’s a black box with a hole in it. Using that logic, then wrapping fabric around our body serves as clothing…why worry about design? Food is just fuel, so why regional or national cuisine? Why play snooker? just kick a rock across a field. For years I used Pentax Spotmatics as my main 35mm cameras. They certainly fulfill the criteria to qualify as “uncomplicated” in an ‘M3’ sense: they just demanded you set focus, aperture and shutter speed, and each was done in an ‘obvious’ way. I found that I liked Pentax’s ergonomics (and glass) and stuck with the marque: I feel the manual-only MX (which while still an SLR comes about as close as any to being a “35mm compact” in size terms) is another near perfect uncomplicated camera. So too the wonderful LX, which adds aperture priority (and much else). That MZ-S looks quite interesting! What lens would you recommend that I might find on a small budget? The Rolleiflex Automat is an interesting example of what you are talking about here. It is actually quite complex when you look at the internal mechanical components, but all of this complexity is directed at simplifying the user’s experience, at getting the camera out of the photographers way.